The yearly rate of growth of the official consumer price index (CPI) stood at 1.7 percent in August against two percent in July. 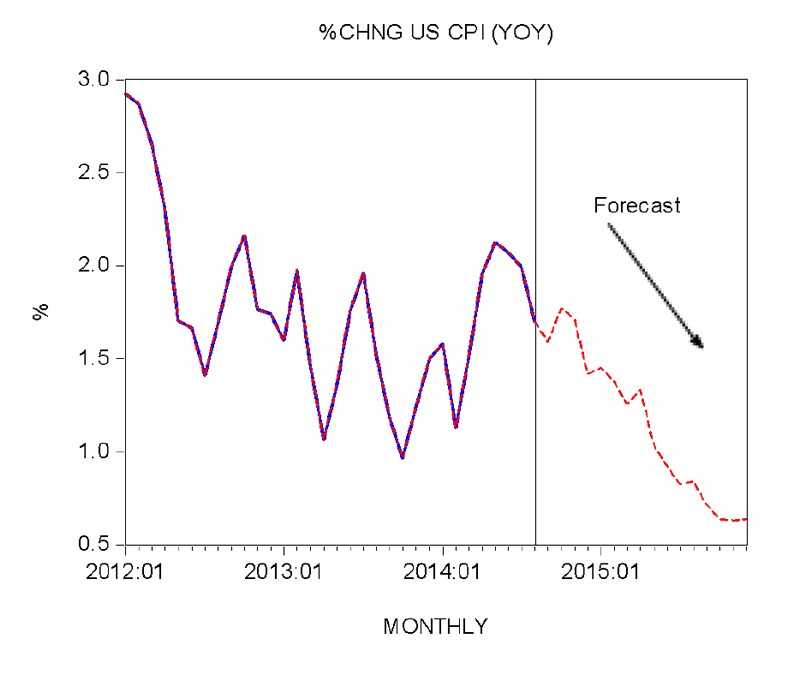 According to our estimate, the yearly rate of growth of the CPI could close at 1.4 percent by December. By December next year we forecast the yearly rate of growth of 0.6 percent. Does Demand Create More Supply? It seems that the Minneapolis Fed President holds that by boosting the demand for goods and services — by means of additional monetary pumping — it is possible to strengthen economic growth. He believes that by means of strengthening the demand for goods and services the production of goods and services will follow suit. But why should that be so? If by means of monetary pumping one could strengthen the economic growth then it would imply that — by means of monetary pumping — it is possible to create real wealth and generate an everlasting economic prosperity. This would also mean that world wide poverty should have been erased a long time ago. After all, most countries today have central banks that possess the skills to create money in large amounts. Yet world poverty remains intact. Despite massive monetary pumping since 2008, and the policy interest rate of around zero, Fed policymakers seem to be unhappy with the so-called economic recovery. 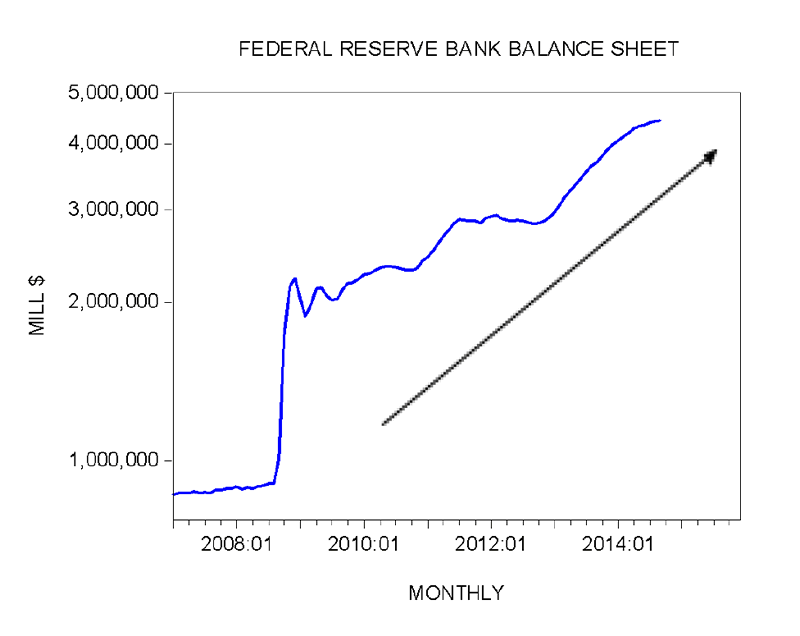 Note that the Fed’s balance sheet, which stood at $0.86 trillion in January 2007 jumped to $4.4 trillion by September this year. We suggest that there is no such thing as an independent category called demand. Before an individual can exercise demand for goods and services, he/she must produce some other useful goods and services. Once these goods and services are produced, individuals can exercise their demand for the goods they desire. This is achieved by exchanging things that were produced for money, which in turn can be exchanged for goods that are desired. Note that money serves here as the medium of exchange — it produces absolutely nothing. It permits the exchange of something for something. 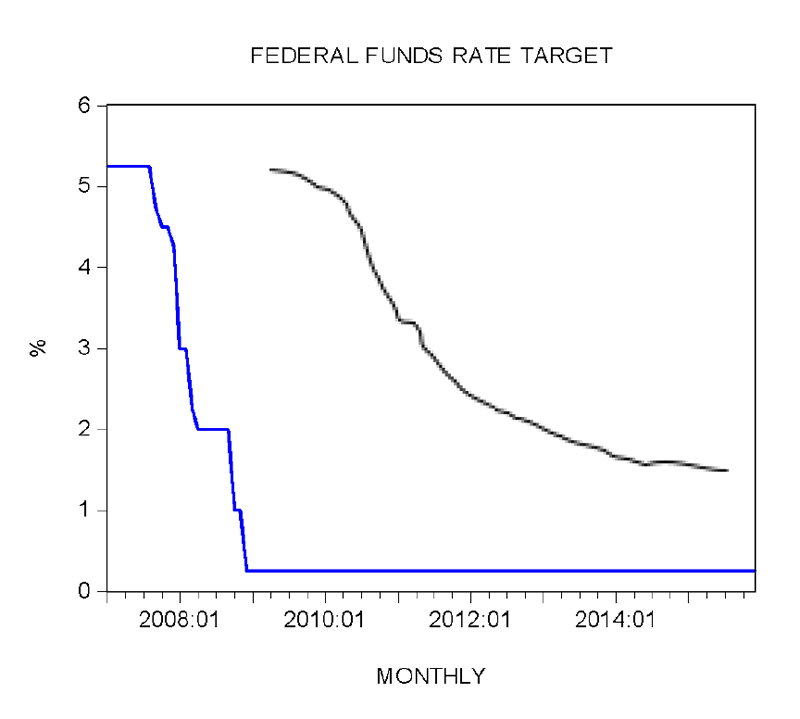 Any policy that results in monetary pumping leads to an exchange of nothing for something. This amounts to a weakening of the pool of real wealth — and hence to reduced prospects for the expansion of this pool. What is required to boost the economic growth — the production of real wealth — is to remove all the factors that undermine the wealth generation process. One of the major negative factors that undermine the real wealth generation is loose monetary policy of the central bank, which boosts demand without the prior production of wealth. (Once the loopholes for the money creation out of “thin air” are closed off the diversion of wealth from wealth generators towards non-productive bubble activities is arrested. This leaves more real funding in the hands of wealth generators — permitting them to strengthen the process of wealth generation (i.e., permitting them to grow the economy). Now, the artificial boosting of the demand by means of monetary pumping leads to the depletion of the pool of real wealth. It amounts to adding more individuals that take from the pool of real wealth without adding anything in return — an economic impoverishment. 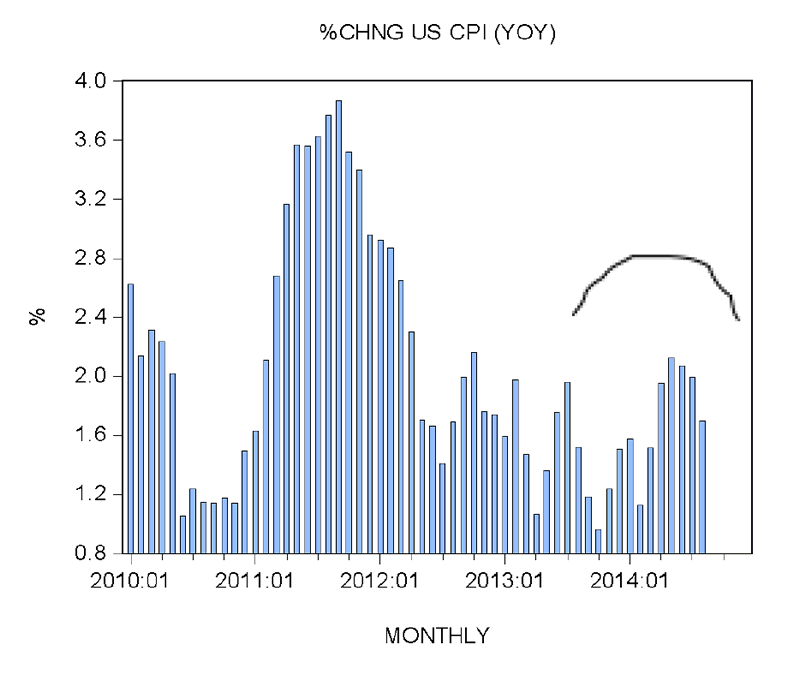 Finally, the fact that the yearly rate of growth of the CPI is declining doesn’t mean that the Fed’s monetary pumping is going to be harmless. Regardless of price inflation monetary pumping results in an exchange of nothing for something and thus, impoverishment. Frank Shostak is an adjunct scholar of the Mises Institute and a frequent contributor to Mises.org. He is chief economist of M.F. Global. Send him mail. See Frank Shostak's article archives. Comment on the blog. © 2013 Copyright Frank Shostak - All Rights Reserved Disclaimer: The above is a matter of opinion provided for general information purposes only and is not intended as investment advice. Information and analysis above are derived from sources and utilising methods believed to be reliable, but we cannot accept responsibility for any losses you may incur as a result of this analysis. Individuals should consult with their personal financial advisors.